Why do I have to eat that!? 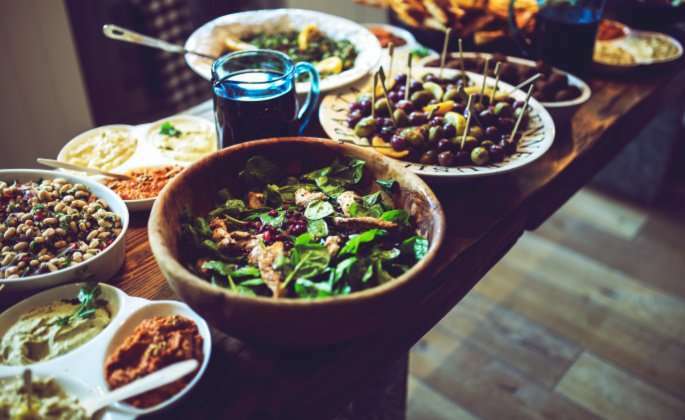 Oftentimes, those in recovery have difficulty deciphering what and when they enjoy eating and what and when they don’t enjoy eating due to their eating disorder and the food rules and behaviors that are associated with it. Recovery from an eating disorder involves the difficult process of untangling true food preferences from the restricted and distorted eating patterns caused by the eating disorder. Examples of this include black and white thinking around what should or should not be eaten, excessively rigid rules around amount or timing of food, and the belief that eating certain foods will have immediate and disastrous consequences. The process of returning to normalized food choices and eating patterns often involves being open to, and experimenting with, eating foods previously ruled unhealthy, unnecessary or “dangerous.” It also involves being open to trying foods prepared in ways that previously would have been refused due to eating disorder beliefs. Below are several of the difficulties that are commonly encountered during recovery. Often these begin as well-intentioned efforts to improve or control some aspect of the eating process. Working with an experienced eating disorder practitioner to carefully challenge these rules is helpful to bring back flexibility in eating decisions. Approaches such as exposure therapy and experiments with making small changes can help explore and resolve the underlying beliefs or behaviors that made the rule seem important and necessary. One of the hallmarks of an eating disorder is restriction and rigidity. Frequently, the rigidity can be connected with underlying issues such as fear, or the rigidity can provide a sense of safety and/or control. An experienced eating disorder therapist can be very helpful in identifying what purpose the rigidity serves and how to regain choice and flexibility. Distorted judgments regarding a food or an entire food group often arise in eating disorders and serve to limit intake or provide a rationale for those limitations. Frequently, the judgment has a basis in nutritional fact but becomes oversimplified and misapplied. Working with an experienced dietitian or other professional can help bring back the underlying truths and provide a more balanced approach to food choices that include variety, preference, and availability. We all have food preferences based on innate food likes/dislikes. Often,, foods we were exposed to growing up can be associated with a particular memory or emotion. The difficulty comes when an individual is recovering from an eating disorder those original food preferences can be distorted or co-opted by disordered thoughts or judgments. It is common for people with eating disorders to avoid foods due to a “taste preference” when it is really a cover for avoiding a feared food or linked to a disorder belief. Individuals who have struggled with their eating disorders for years may not be able to really know what is truly a taste preference anymore. Experimenting with eating foods that are now a “dislike” with an open mind can help identify where the eating disorder might have crept in. If there is an overblown reaction to the thought of eating a particular food, that may be a sign of a more restrictive, disordered purpose. It is very common for individuals early in their eating disorder recovery to be quite upset when they encounter treatment meals that include foods they consider to be of low nutritional value or to have negative health implications. Sometimes parents, support people or even other health providers echo that concern. The inclusion of such foods is not to imply that they do or do not have health/nutritional differences, but instead, this allows exploration of what is really underlying the concern. If the objection is rooted in an exaggerated fear of the consequences of even occasional consumption of a certain food, coming to a more rational approach can allow for flexibility in being able to get one’s needs meet when there may be limited options. Allowing as wide a variety of foods as possible can bring greater satisfaction to the eating experience without the negative health effects. In summary, returning to a true sense of knowing what your taste preferences are not only allows for progression in eating disorder recovery but also brings the gift of being able to make food decisions that both support your body and brings back the joy and connection that eating can provide in our lives. If you need help with recovery, reach out to us at 1-888-364-5977 or start our intake process today. Hilmar Wagner is a Registered Dietitian/Nutritionist (RDN) and Certified Dietitian (CD) in the state of Washington. Hilmar joined the Emily Program in 2006, and currently serves as the Training Coordinator for Nutrition Services and Clinical Outreach Specialist. In this role he initiates and coordinates training of new dietetic staff, dietetic interns and continuing education for nutrition services for all Emily Program locations. He has presented on a wide range of nutrition topics at local, regional and national conferences. Hilmar received his Bachelor’s degree in Nutrition/Dietetics and Master’s in Public Health Nutrition from the University of Minnesota. He has worked in the field of eating disorders for the past 12 years. Hilmar has extensive experience working with clients of all eating disorder diagnoses in both individual and group settings. He has a particular interest in mindfulness and body-centered approaches to eating disorder recovery.